"Are You Experienced?" is the title song for the Jimi Hendrix Experience 1967 debut album. It has been described as one of Jimi Hendrix's most original compositions on the album by music writer and biographer Keith Shadwick. The song is largely based on one chord and has a drone-like quality reminiscent of Indian classical music. It features recorded guitar and drum parts that are played backwards and a repeating piano chord, but no bass. Live recordings from 1968 are found on The Jimi Hendrix Concerts album and Winterland box set. Mitch [Mitchell]'s military snare raps out behind the startlingly contemporary hip-hop scratch sound-effects of tapes running backwards punctuating Jimi's condition for being your guide ('If you can get your mind together'). To what? Sexual ecstasy? Altered states of consciousness? Or just finding yourself, taking time out to view what you're doing from the outside, 'from the bottom of the sea', letting go of the daily grind of the 'measly world'. It is all there for the taking. The secret is being at peace with yourself – 'not necessarily stoned, but beautiful'. Despite its studio complexity, "Are You Experienced?" was performed live by Experience several times in 1967 and 1968. It was used as the closing number at a Saville Theatre show in London on June 4, 1967. According to a review by Disc and Music Echo, the rendition of the Are You Experienced was "smashing [and] ear splitting". Hendrix "ended the gig by smashing a guitar handed to him for the finale ... and hurling it into the audience". The show was dubbed a "farewell" concert by Shapiro and Glebbeek, before the band headed to the US and their appearance at the Monterey Pop Festival. A performance recorded at the Winterland Ballroom in San Francisco, California, on October 10, 1968, was released on the 1982 The Jimi Hendrix Concerts album. A second performance on October 11 was included on a bonus disc for Live at Winterland, with Virgil Gonzales' flute part edited out. In 2011, the song was included on the Winterland box set. The original song is included on the 2001 posthumous compilation album Voodoo Child: The Jimi Hendrix Collection, while a previously unreleased take is featured on the 2010 box set West Coast Seattle Boy: The Jimi Hendrix Anthology. American rock band Devo recorded "Are You Experienced?" for their sixth studio album, Shout. 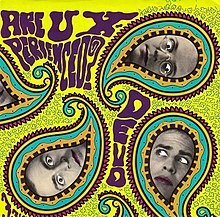 It was released as the album's lead single (stylized as "Are U X-perienced?" on the picture sleeve) and includes the non-album track, "Growing Pains", as its B-side (which was also released as a bonus track on CD release of the album). Their adaptation carried on the Devo tradition of radically transforming notable songs, which began with their 1978 cover of the Rolling Stones song "(I Can't Get No) Satisfaction." A lavish video for "Are You Experienced?" was produced by the band in conjunction with Ivan Stang of the Church of the SubGenius. The video includes Devo as floating blobs of wax in a lava lamp and Jimi Hendrix (played by Hendrix impersonator Randy Hansen) stepping out of his coffin to play a guitar solo, and the cover children Zachary Chase and Alex Mothersbaugh. E.C. : Speaking of de-evolution, why didn't the Hendrix estate give you permission to put the "Are You Experienced?" video on the DVD? Gerald Casale: Further de-evolution. You understand that the consortium of people that now represent the Hendrix estate are basically run by lawyers; the lawyer mentality. Lawyers always posit the worst-case scenarios. Though that video was loved for years by anybody who saw it including the man who commissioned it —Chuck Arroff, a luminary in the music business, who still claims to this day that it was one of his five most favorite videos ever—, they [the lawyers] didn't get it and assumed we were making fun of Jimi. That's like saying "Whip It" makes fun of cowboys. This is so stupid it's unbelievable..
^ Shadwick 2003, pp. 106–107. ^ a b Shadwick 2003, p. 106. ^ "4 June Saville". Just Ask the Axis. Digital Highway. Retrieved April 6, 2013. ^ Belmo 1998, p. 216. ^ Belmo 1998, p. 217. ^ "Experience Hendrix LLC & Legacy Recordings Launches Fourth Wave of Releases in Critically Acclaimed Jimi Hendrix Catalog Project". Experience Hendrix. June 16, 2011. Retrieved April 6, 2013. ^ Planer, Lindsay. "Voodoo Child: The Jimi Hendrix Collection - Jimi Hendrix". AllMusic. Retrieved April 6, 2013. ^ Westergaard, Sean. "West Coast Seattle Boy: The Jimi Hendrix Anthology - Jimi Hendrix". AllMusic. Retrieved April 6, 2013. ^ DJ Ivan (July 2005). "Interview with Gerald Casale of DEVO (6-12-05) & Concert Review of DEVO live at Music Midtown-Atlanta, GA". earcandymag.com. Retrieved August 28, 2017. Belmo; Loveless, Steve (1998). Jimi Hendrix: Experience the Music. Collector's Guide Publishing Inc. ISBN 1-896522-45-9. Geldeart, Gary; Rodham, Steve (2007). Jimi Hendrix: The Studio Log - 2008 edition. Warrington, Cheshire: Jimpress. Shapiro, Harry; Glebbeek, Caesar (1995). Jimi Hendrix: Electric Gypsy. New York City, New York: St. Martin's Press.